On the surface, I see at least two general observations we can draw from this theme. First, in this fallen world, some degree of pain is inevitable; you will have pain. And second, your pain has value that may be lost to you or squandered if not properly used. There can be no doubt that all pain is traced back to the fact that sin has entered the world. Pain touches all of us. We will experience pain whether as a direct result of personal sins committed or as an indirect result of being fallen creatures in a fallen world. From the curse in Genesis 3:16, we find there is an element of pain built-in to bringing every new life into the world for women. And once that new person enters the outside world, pain becomes a recurring factor to the end. Like most other people in the world, we Christians do our best to avoid pain. We also pray that God will deliver all kinds of hurting people from its excessive presence every week. 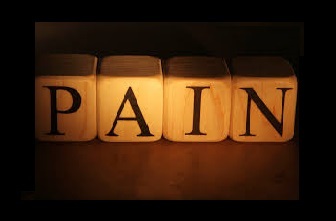 It’s considered unnatural and unhealthy to seek pain or to enjoy inflicting it upon others. Yet in this life, there’s no need to seek it; pain will always find you – in varying degrees, and times, and places. We typically teach our children to avoid various kinds of destructive pain often by employing a strategic form of constructive pain. Physical discipline is necessary for this training. Pain in this life is a great educator if we are wise enough to learn its lessons. Yet whether we learn a lesson about God and His world from the consequences of our own sinful choices, or from the unsought effects of living in a fallen world, either way pain becomes a great instructor for every wise human being. There are both wise and foolish people in pain’s classroom every day. The wise are always learning and growing throughout their time in that place; but the foolish spend their time cursing the instructor and missing the valuable lessons being taught. This is not in any way to suggest that the lessons of pain are pleasant or easily learned. I have often been that fool raging against my own pain and I’m slowly learning even now. I don’t want any of us to miss the lessons God is teaching us here. My hope and prayer is that we will all pay closer attention to what God is showing us and teaching us in our pain. Let’s ask our Lord to use this conference and our speaker to do just that. April 12 – Sunday Evening – Dinner: 5:30 – Service: 7 p.m.